We’re very excited to welcome Developer Tim Lundy to the Murmur Creative team! 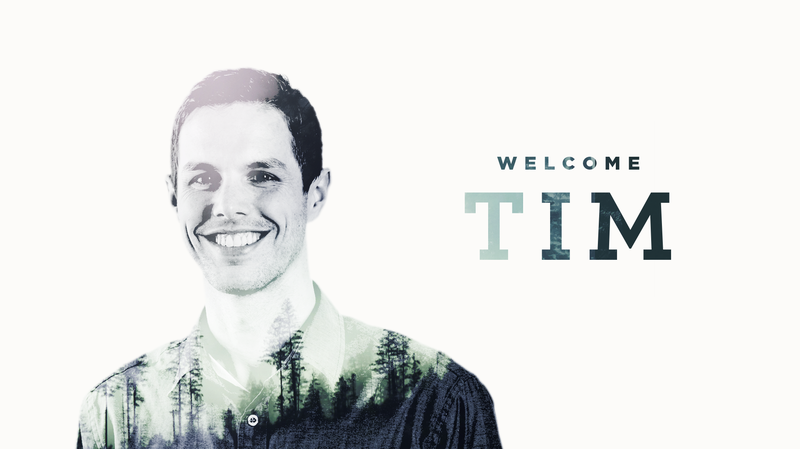 Tim is an inventive soul with keen programming skills and a well-developed sense of web aesthetics. Prior to joining us, Tim worked with our team as a freelance developer on Embark Exploration Co.’s breathtaking new website (see it here). We were so impressed with Tim’s eye for design and his savvy programming chops that we hired him! In an effort to get to know Tim a little better we asked him a series of questions meant to get straight at the core of “who is Tim?” Check out his cheeky answers below. 1. How did you get into programming/building websites? I started freelancing in college designing brands, print products, and websites, starting with my dad’s business and growing into managing enough clients to go full time as a freelancer. At one point I was offering nearly a full-service agency’s services by myself before deciding that was ridiculous and focusing on web development and photography. That’s been my jam for the last four (or maybe five?) years! 2. Wow, nice! So, what brought you to Murmur Creative? I’ve always had my eye out for teams that are doing good things and Murmur definitely caught my eye. We share a lot of philosophies and I love working with good people! 3. When you’re not working for a paycheck, what do you spend your time doing? Usually working on my own projects, potentially with my fat cat Parsley stealing warmth from me somehow. 4. I like it. Tell us…what’s your most embarrassing moment? I once played and sang Adam Sandler’s “Lunch Lady Land” song from SNL for a school skit, complete with teachers dressed up as food dancing behind me. It was almost bad enough to be good … almost. 5. Holy … That is next level. So now I must ask: if you could be any mythical creature what would you be? Sasquatch, because Sasquatch is blurry and I can relate. 6. Ha! What are your 3 favorite movies? Can I do TV shows instead? 7. And 3 of your favorite books? 8. And what is your hidden talent? I will try to backflip anywhere, without hesitation. 9. What are you easily swayed by? Sour Patch Kids (candy) can convince me to do just about anything. 10. What’s your favorite spot in Portland? Any food cart pod in Portland. But I also spend a lot of time on Belmont stuffing my face with pizza and beer. 11. Lastly, if you weren’t working at Murmur, what would you be doing right now? Working, sleeping, or video games!